A monthly Welsh language religious periodical serving the Calvinist Methodist denomination mainly in north Wales. The periodical's main contents were religious articles and poetry. 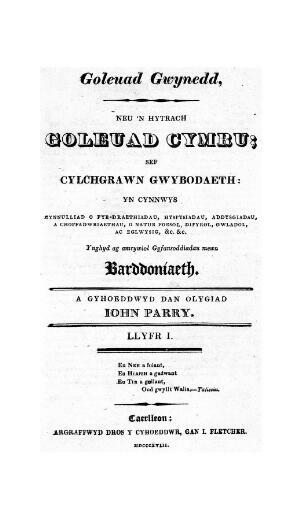 The periodical was edited by the minister and man of letters, John Parry (1775-1846) with the poet and cleric Evan Evans (Ieuan Glan Geirionydd, 1795-1855) serving as deputy editor between November 1818 and December 1820. Associated titles: Goleuad Cymru (1820).